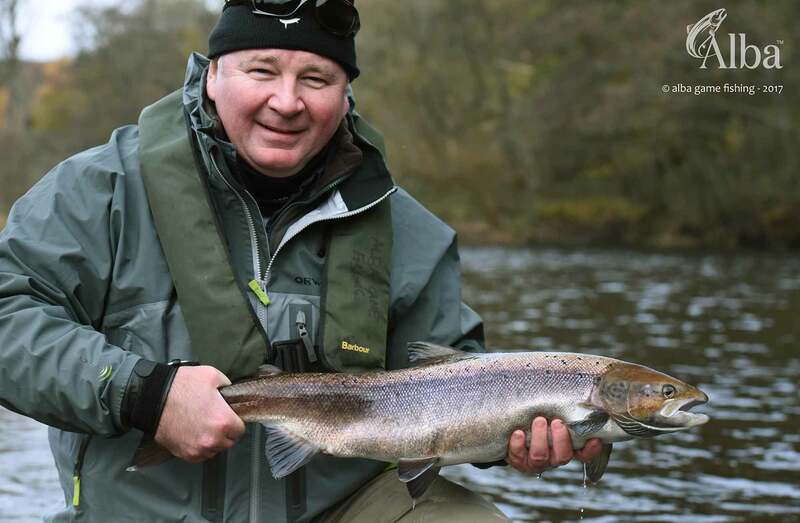 If you are looking for the best salmon fishing near Edinburgh, then the River Tweed offers fly fishing for Atlantic Salmon with a professional fishing guide. 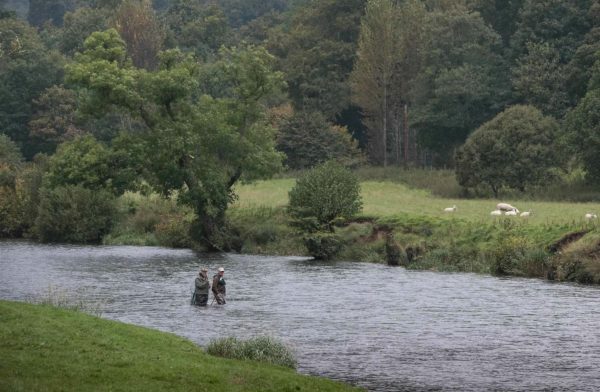 Salmon can be caught throughout the season and the secret is to pick the right beat, according to the time of year and the river levels. 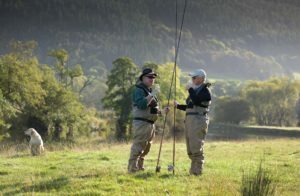 This can be a challenge when booking in advance, and our teams knowledge of typical conditions and salmon fishing techniques will greatly improve your chances. 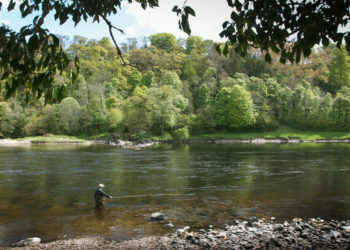 The River Tweed as well being famous for the origin of Tweed cloth is one of the best salmon fishing rivers in Scotland. 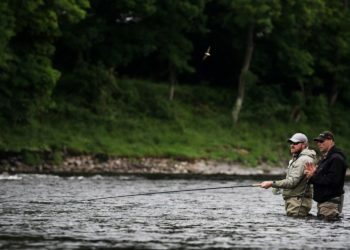 Anglers have been fly fishing for the run of Atlantic salmon on the Tweed since the 17th century. The River Tweed is the second longest river in Scotland (97 miles) and produces more fish caught to the fly than any other river in the UK. 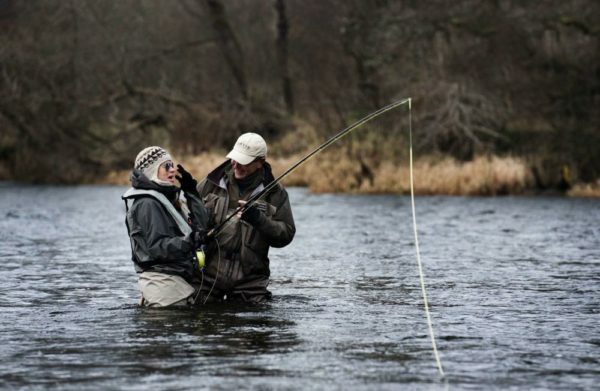 Your fly fishing guide will collect you from your hotel and transport you to the river. Days normally run from 08:00 to 18:00, however, we are flexible with timings. 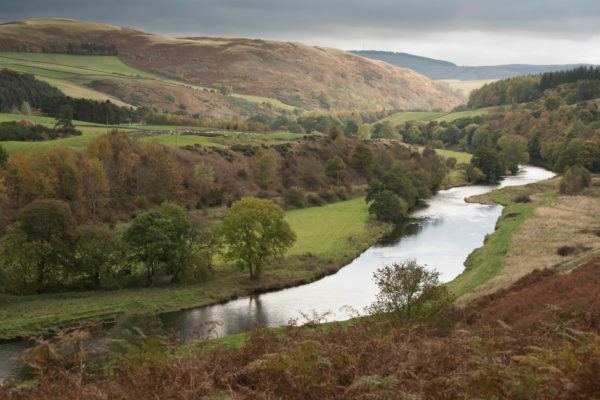 Transport to the river can be provided in a Luxury Land Rover. We provide everything you need. 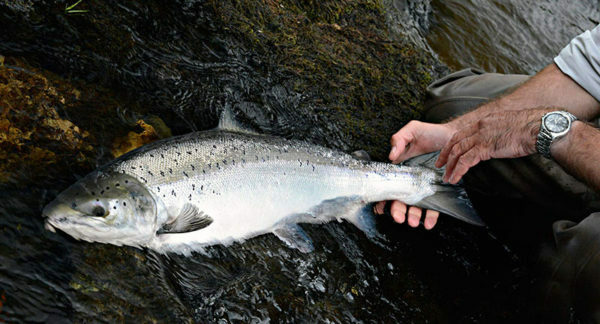 Quality fishing tackle and specialist Scottish tied salmon flies. Orvis waterproof wading jackets, waders, and quality wading boots with tungsten studs and vibrate soles are supplied as are auto inflate life vests and we carry spare sunglasses. 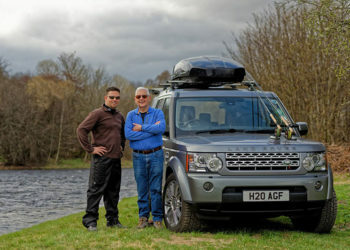 Your fishing guide will be on your shoulder all day and is happy to give you casting tips, Spey casting tuition, advice on river craft, tips on how to read a river, we’ll take photos and share stories. When you need solitude you can just enjoy the river. 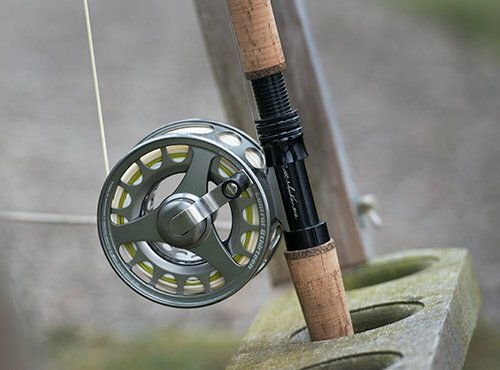 The latest fishing tackle and techniques; hand tied salmon flies and premium fishing tackle. everything is included.